The small and medium-sized companies do not host much of the internal resources. It is difficult to maintain a huge number of internal resources, so everyone looks forward to outsourcing the business. Outsourcing some part of the business makes it easy for you to manage everything and also you can get your projects done at reduced costs. You can earn more and more profit by saving extra bucks through outsourcing. However, your profit margin highly depends on the way of management of your business. Effective management can lead to the success of the company. Earlier people looked forward to in-office work on a priority basis but over the past decade, business outsourcing has taken pace. The reason being everyone finds an advantage in doing so. 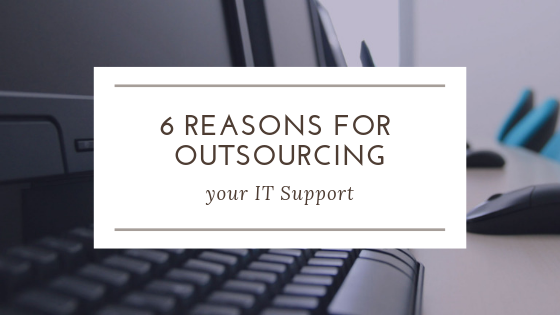 There are various benefits associated with outsourcing your IT support requirement. The major advantages are discussed briefly in the blog below. You can look forward to the expansion of your business. More and more projects can be accomplished by you in the same time duration. As you can gain more working hands. You can outsource the projects to other companies or even freelancers. The team you have in your office may be acknowledged with limited operations due to which you cannot seek projects demanding different IT services. With outsourcing, you can accept all kinds of IT projects and outsource the part of the project to external agencies which cannot be completed at your office. The in-house team will be free and will have more and more time. You can complete the projects that have a higher scope, extended profit margins and strict short deadlines in your office and rest can be assigned to outsourcing agencies or freelancers. As a small business owner, you have limited resources and a limited budget and you cannot compete with large scale businesses in the same matter. But every small-scale business thinks of growth and development. You may think about enhancing your business to another level but you might face in office limitations. These things can easily be overcome with the help of profit sharing and outsourcing. You can exceed your own time limits and work in a 24*7 environment. You can also seek support from third parties for customer support system or any other additional skills. You do not have to take care every time about the system updates, software updates or any other thing. All you need to do is share the information about the work and the deadline. As the project is on risk sharing basis so it is the responsibility of the third party that it will provide you with the desired work. Outsourcing your work to third parties is just like your team expansion. You have yet another team outside your office. If you have fixed projects or requirements you can hire the team on monthly basis and if not you can look forward to work with them on a weekly or hourly basis. The working conditions can be flexible and personalised as per specificrequirements. Does Print have a Future Relationship with Digital?